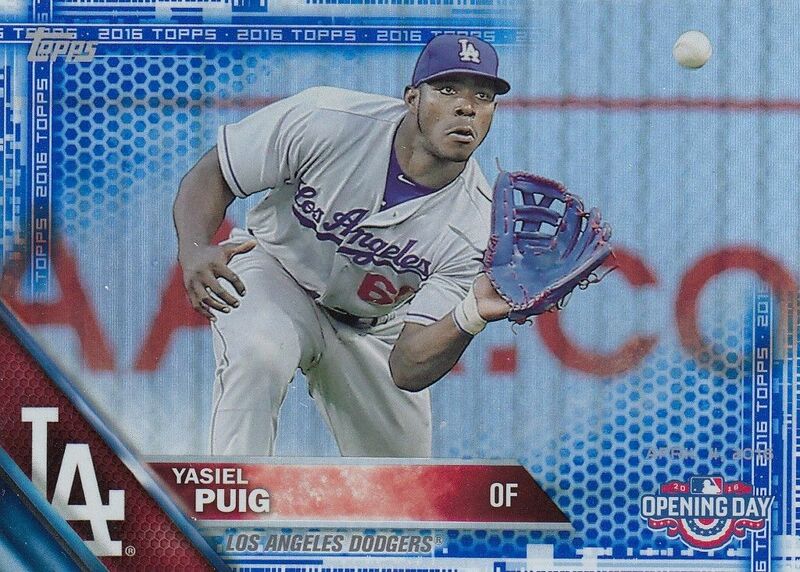 The most superfluous Topps set of the year has just been released. 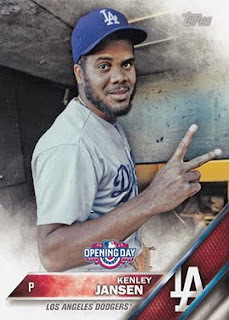 It is their "Opening Day" brand and it features a product that looks exactly like their flagship set released a couple of weeks ago -- except with a snazzy little "Opening Day" logo. The set is smaller in terms of the number of cards, typically uses the exact same design and photos as the flagship set and is a bit cheaper to purchase since it doesn't include an overabundance of inserted relic and autographs cards. We do, on the other hand, get an early peek at the cards of an handful of players not included in the Series 1 offering. So, there's that. Go here for a complete checklist. 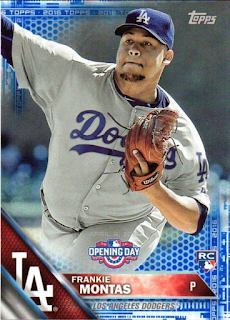 There are eight Dodgers players in this base set, and we get a look at the Jansen and Montas base cards for the first time. The other six players use the exact same photo as the Series 1 set -- boring!. 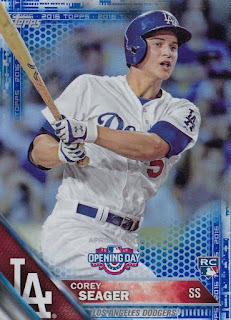 Below are all of the Dodgers base cards and I decided to show pics of the "Blue Foil" parallels since they are so cool looking. 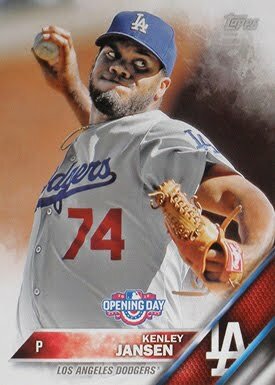 Also, there is one short-printed photo variation available, and it's of Kenley Jansen. Check that out at the very bottom of this post.